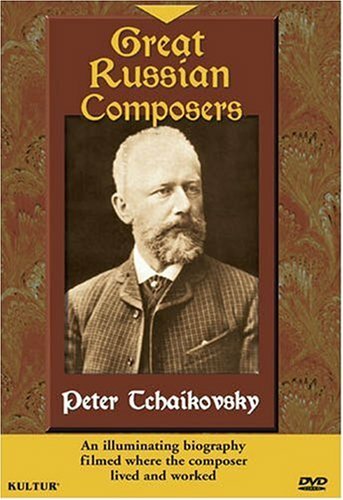 These informative biographies present a revealing look into the events, people and places that influenced the creation of the composer s major works and tell the story of the impact that Russia had on the history of western music. Peter Tchaikovsky was the leading Russian composer of the late 19th century, whose works are notable for their melodic orchestration. Tchaikovsky was born on May 7, 1840 in Votkinsk, Russia. He studied law in St. Petersburg and took music classes at the St. Petersburg Conservatory. Tchaikovsky then obtained the post of teacher of harmony at the Moscow Conservatory, and while there, he composed his first three symphonies and the world-renowned Piano Concerto No. 1. In 1876 Tchaikovsky became acquainted with Madam Nadezda von Meck, a wealthy widow, whose enthusiasm for his music led her to give him an annual allowance of 600 pounds. Fourteen years later, believing herself financially ruined, Madame von Meck abruptly terminated the subsidy. Tchaikovsky was wounded by the sudden defection of his patron without apparent cause, and he never forgave her. The period of this connection with Madame von Meck was one of rich productivity which saw the composition of his opera Eugene Onegin, the ballets Swan Lake and The Sleeping Beauty, the Violin Concerto in D Major, Symphony No. 4 and No 5, The 1812 Overture, and many other works. In 1877 Tchaikovsky married Antonina Milyukova, a music student at the Moscow Conservatory. The marriage was unhappy from the onset, and the couple soon separated. From 1887 to 1891 he made several highly successful concert tours of Europe and the U.S. On October 28, 1893 the first performance of his Symphony No. 6 was given in St Petersburg under the composer's direction, and was indifferently received. Nine days later, on November 6th Tchaikovsky died of cholera, according to official records.